Auguste Comte (full name Isidore Marie Auguste François Xavier Comte) (January 17, 1798 - September 5, 1857) was a French thinker known as the "father of sociology." He developed a philosophy he called "Positivism," in which he described human society as having developed through three stages, the third of which he called the "positive" stage, dominated by scientific thought. He was the first to apply the scientific method to the social world, and coined the term sociology to describe the scientific study of human society. It was his hope that through such endeavors, an understanding of human society could be achieved that would enable humankind to progress to a higher level, in which the entire human race could function together as one. He also coined the term "altruism," advocating that people should live for the sake of others. Although Comte's work appeared to regard the human intellect as the most important in developing the new world order, in his later work, he embraced the concept of love as bringing the solution to all human problems. While Comte's vision of a new world society brought about through a somewhat mystical form of scientific sociology has not come about, his work provided the foundation for great advances in the understanding of how human society functions. Auguste Comte was born in Montpellier, in southwestern France. After attending school there, he began studies at the École Polytechnique in Paris. There, he learned about French republican ideals and progress. In 1816, the École closed for re-organization. Comte did not reapply on its reopening, choosing to continue his studies at the medical school in Montpellier. While in Montpellier, he was unable to relate with his Catholic and Monarchist family and left again for Paris, surviving through odd jobs. One finds here not only the major scientific ideas he was to develop in his Cours de philosophie positive, but also, and this is often overlooked, the beginnings of his later conceptions concerning the need for a unifying communal order based on a newly instituted spiritual power. He published a manifesto on this philosophy, entitled Plan de travaux scientifiques nécessaires pour réorganiser la société (1822) (Plan of Scientific Studies Necessary for the Reorganization of Society). Comte, however, was unable to obtain an academic position and depended on financial help from sponsors and friends. In 1824, Comte left Saint-Simon because of irreconcilable differences. In 1825, he married Caroline Massin, a woman he had known for several years. Comte was known as an arrogant, violent, and delusional man and the marriage did not last. In 1826, Comte spent time in a mental health hospital suffering a mental breakdown. During this time Comte had no academic position, only marginal and low paid appointments which barely allowed him to subsist. They finally divorced in 1842. In the time between their marriage and divorce, he published the six volumes of his Cours and acquired a number of influential followers both in France and abroad. These included Émile Littré and John Stuart Mill, who for a time were close supporters of Comte. From 1844, Comte was involved with Clothilde de Vaux, a relationship that changed Comte's view of emotion and intellect. He loved her passionately, but she resisted any physical relationship and maintained only a platonic, yet romantic, relationship. Soon, however, she contracted tuberculosis and died in 1846. Comte visited her grave every year until the year of his own death. After her death, his love became quasi-religious, and Comte saw himself as founder and prophet of a new "religion of humanity," in which universal love was the solution for all problems. He published four volumes of Système de politique positive (1851-1854). During his last years, the only book Comte read was the Imitation of Christ, by Thomas à Kempis. His rationalist supporters could not accept his religious intensity, and Comte approached new audiences. He expounded his ideas to religious leaders and workers of all types, whom he met with regularly, often in his own home. With them, he shared his newfound understanding that love is the foundation of society, and that order in society comes through submission to the divine will and unifying spiritual power. Auguste Comte died in Paris on September 5, 1857, and was buried at the famous Cimetière du Père Lachaise. 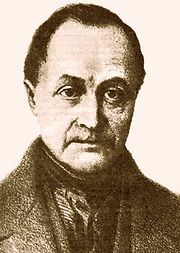 Auguste Comte is famous for his grand universal laws. His aim was to create a science of society, explaining both the historical development and the future direction of humankind. He regarded the study of human society as proceeding in the same way as the study of nature. Thus, he attempted to discover the laws by which human society maintains itself and progresses. Positivism is the philosophy developed by Auguste Comte that stated that the only authentic knowledge is scientific knowledge, and that such knowledge can only come from positive affirmation of theories through strict scientific method. Comte is known to have said, "Men are not allowed to think freely about chemistry and biology: Why should they be allowed to think freely about political philosophy?" His view is sometimes referred to as a scientist ideology, and is often shared by technocrats who believe that essential progress occurs through scientific progress. As an approach to the philosophy of science deriving from Enlightenment thinkers like Pierre-Simon Laplace (and many others). Positivism was first systematically theorized by Comte, who saw the scientific method as replacing metaphysics in the history of thought. Comte also observed the circular dependence of theory and observation in science. Comte was thus one of the leading thinkers of the social evolutionist thought. Positivism is the most evolved stage of society in anthropological evolutionism, the point where science and rational explanation for scientific phenomena develops. Marxism and predictive dialectics is a highly positivist system of theory. Comte also said, "The dead govern the living," which is likely a reference to the cumulative nature of positivism and the fact that our current world is shaped by the actions and discoveries of those who came before us. Comte's positivism should not be confused with Logical positivism, which originated in the Vienna Circle in the 1920s. Logical positivism is a school of philosophy that combines positivism—which states that the only authentic knowledge is scientific knowledge—with a version of apriorism—the notion that some propositional knowledge can be had without, or "prior to," experience. If it is true that every theory must be based upon observed facts, it is equally true that facts can not be observed without the guidance of some theory. Without such guidance, our facts would be desultory and fruitless; we could not retain them: for the most part we could not even perceive them. Comte believed social scientists should use the same methods that proved successful in the natural sciences: Observation, experimentation, comparison, and the historical method. Comte believed all observations had to be connected to preliminary theories, otherwise observers would not know what they were looking at. Experimentation is difficult in the social sciences but Comte stated that "experimentation takes place whenever the regular course of the phenomenon is interfered with in any determinate manner." Comte argued that comparisons between human and animal society would reveal useful hints about humanity's true nature. He also extended the idea of comparison to those between humans. These three forms of inquiry all relied on a foundation of history. Thus, Comte stated each department of knowledge passes through three stages. These three stages are the theological, the metaphysical, and the positive, or scientific. The Theological phase was seen from the perspective of nineteenth century France as preceding the Enlightenment, in which man's place in society and society's restrictions upon man were referenced to God. Comte believed all primitive societies went through some period in which life is completely theocentric. In such societies, the family is the prototypical social unit, and priests and military leaders hold sway. From there, societies moved to the Metaphysical phase. By Metaphysical phase, Comte was not referring to the Metaphysics of Aristotle or any other ancient Greek philosopher. For Comte, metaphysics was rooted in the problems of French society before the revolution of 1789. This "Metaphysical" phase involved the justification of universal rights as being on a higher plane than the authority of any human ruler to countermand, although said rights were not referenced to the sacred beyond mere metaphor. Here, Comte seems to have been an influence for Max Weber's theory of democracy in which societies progress towards freedom. Weber wrote of oligarchies having more freedom than tyrannies, and democracies having more freedom than oligarchies. Comte's belief that universal rights were inevitable seems to be foretelling of Weber's theory. In this Metaphysical stage, Comte regarded the state as dominant, with churchmen and lawyers in control. The Scientific or Positive phase came into being after the failure of the revolution and of Napoleon. The purpose of this phase was for people to find solutions to social problems and bring them into force despite the proclamations of "human rights" or prophecy of "the will of God." In this regard, he was similar to Karl Marx and Jeremy Bentham. For its time, this idea of a Scientific phase was considered progressive, although from a contemporary standpoint it appears derivative of classical physics and academic history. Again, it seems as if Weber co-opted Comte's thinking. Weber believed that humanity was progressing further than ever with science, but believed that this was the downfall of humankind as it loses sight of humanity itself in favor of technical progress. Comte gave the name Positive to the last of these because of the polysemous connotations of the word. Positive can refer both to something definite and to something beneficial. Comte saw sociology as the most scientific field and ultimately as a quasi-religious one. In this third stage, which Comte saw as just beginning to emerge, the human race in its entirety becomes the social unit, and government is by industrial administrators and scientific moral guides. "The passage from one social system to another can never be continuous and direct." In fact, human history is marked by alternative "organic" and "critical" periods. In organic periods, social stability and intellectual harmony prevail, and the various parts of the body social are in equilibrium. In critical periods, in contrast, old certainties are upset, traditions are undermined, and the body social is in fundamental disequilibrium. Such critical periods—and the age in which Comte lived, seemed to him preeminently critical—are profoundly unsettling and perturbing to men thirsting for order. Yet they are the necessary prelude to the inauguration of a new organic state of affairs. "There is always a transitional state of anarchy which lasts for some generations at least; and lasts the longer the more complete is the renovation to be wrought." For Comte, the difference between the periods of harmony and social stability compared to those of progress and social development was similar to the distinction in biology between anatomy and physiology. Thus, he regarded social stability and social progress as correlative aspects of the same system. Although Comte approached human society as analogous to a biological organism, he was aware of the differences. To allow society to function as a unit, like an organism, Comte ascribed the functions of connection and boundaries to the social structures of language, religion, and division of labor. Through the medium of language, the thought of all members of the society, particularly those of the past, is communicated. Religion provides a unifying belief system which guides members of society to overcome differences and function harmoniously as a larger unit. Division of labor creates in each person a sense of dependence on others as part of the whole society. The scientific spirit forbids us to regard society as composed of individuals. The true social unit is the family—reduced, if necessary, to the elementary couple which forms its basis… Families become tribes and tribes become nations. Thus, for Comte, the "family is the most elementary social unit and the prototype of all other human associations, for these evolve from family and kinship groups." Comte's other universal law is called the "Encyclopedic Law." This law led to a systematic and hierarchical classification of all sciences, including inorganic physics (astronomy, earth science, and chemistry) and organic physics (biology and for the first time, physique sociale, later renamed sociologie). This idea of a special science—not the humanities, not metaphysics—for the social area was prominent in the nineteenth century and not unique to Comte. Comte's ambition, however, was unique. Comte believed sociology to be on the top of this hierarchy. Although it was higher than the other sciences, sociology was still dependent on, and could not exist without, the others. Comte envisioned an ideal society in which positivism and sociology reigned supreme and sociological-scientific priests would rule on the basis of reason. Later in life, Comte saw himself as a prophet of this new religion. This new order of human society would have Love as its Principle, Order as its Basis, and Progress at its Aim. He also coined the word "altruism" to refer to what he believed to be a moral obligations of individuals to serve others and place their interests above one's own. Egoism would be replaced by altruism, by the command, Live for Others. Auguste Comte is widely regarded as the "father of sociology," although during his lifetime his work was viewed skeptically. He finally acquired a number of influential supporters who accepted his theory of "Postiivism," regarding the highest development of society to be that in which people come to understand life in terms of empirical evidence and science. However, they (understandably) abandoned him when he elevated Positivism to a religion (which gave the appearance of returning to his most primitive stage of society) and named himself the "Pope" of his new religious order, signing himself as "The Founder of Universal Religion, Great Priest of Humanity." Comte had earlier used the term "social physics" to refer to the positive science of society, but because others, most notably the Belgian statistician Adolphe Quetelet, had begun to use that term in a different meaning, Comte felt the need to invent the neologism "sociology," a hybrid word derived from the Latin socius (friend) and the Greek λόγος (logos) (word). Comte is usually regarded as the first Western sociologist, with Ibn Khaldun having preceded him by 400 years in the East. Comte's emphasis on the interconnectedness of different social elements was a forerunner of modern functionalism. Nevertheless, like many others from his time, certain elements of his work are regarded as eccentric and unscientific, and his grand vision of sociology as the centerpiece of all the sciences has not come to fruition. Ultimately though, Comte's ideas have had a profound influence in the development of the social sciences in general and sociology in particular. Sociologists continue to regard sociology as the scientific study of human society, and as such, of paramount importance in the advancement of humankind. ↑ 1.0 1.1 1.2 Lewis A. Coser, "Auguste Comte: The Alliance with Saint-Simon," in Masters of Sociological Thought: Ideas in Historical and Social Context (Harcourt, 1977, ISBN 0155551302). ↑ A. Comte, The Positive Philosophy of Auguste Comte Freely Translated and Condensed by Harriet Martineau (New York: AMS Press, 1977). ↑ Lewis A. Coser, "Auguste Comte: Methods of Inquiry," in Masters of Sociological Thought: Ideas in Historical and Social Context (Harcourt, 1977, ISBN 0155551302). ↑ 4.0 4.1 4.2 Lewis A. Coser, "Auguste Comte: The Law of Human Progress," in Masters of Sociological Thought: Ideas in Historical and Social Context (Harcourt, 1977, ISBN 0155551302). ↑ 5.0 5.1 Lewis A. Coser, "Auguste Comte: Social Statics and Dynamics," in Masters of Sociological Thought: Ideas in Historical and Social Context (Harcourt, 1977, ISBN 0155551302). ↑ 6.0 6.1 6.2 Lewis A. Coser, "Auguste Comte: The Normative Doctrine," in Masters of Sociological Thought: Ideas in Historical and Social Context(Harcourt, 1977, ISBN 0155551302), p. 12-13. Comte, Auguste. 2003 (1855). Positive Philosophy of Auguste Comte, Part I. Kessinger Publishing. ISBN 0766154734. Canguilhem, Georges. 1968. "Histoire des religions et histoire des sciences dans la théorie du fétichisme chez Auguste Comte." In Études d'histoire et de philosophie des sciences. Vrin. Capurro, Raquel. 1999. Le positivisme est un culte des morts: Auguste Comte. Epel. Gouhier, Henri. 1931. La vie d'Auguste Comte. Gallimard. Gouhier, Henri. 1932. La jeunesse d'Auguste Comte et la formation du positivisme, tome 1: sous le signe de la liberté. Vrin. Gouhier, Henri. La jeunesse d'Auguste Comte et la formation du positivisme, tome 2: Saint-Simon jusqu'à la restauration. Vrin. Gouhier, Henri. 1941. La jeunesse d'Auguste Comte et la formation du positivisme, tome 3: Auguste Comte et Saint-Simon. Vrin. Gouhier, Henri. 1941. Oeuvres choisies avec introduction et notes. Aubier. Jones, H.S. ed. 1998. Comte: Early Political Writings. Cambridge University Press. ISBN 0521469236. Kremer-Marietti, Angèle. 1980. Le projet anthropologique d'Auguste Comte. SEDES. Kremer-Marietti, Angèle. 1982. Entre le signe et l'histoire. L'anthropologie positiviste d'Auguste Comte. Klincksieck. Kremer-Marietti, Angèle. 1982. Le positivisme. Coll. "Que sais-je?," PUF. Lenzer, Gertrud. 1997 (1975). Auguste Comte: Essential Writings. New York: Harper & Row. ISBN 0061318272. Macherey, Pierre. 1989. Comte. La philosophie et les sciences. PUF. Pickering, Mary. 2006 (1993). Auguste Comte: An Intellectual Biography. Cambridge University Press. ISBN 0521025745. Find-A-Grave profile for Auguste Comte. This page was last modified on 6 December 2016, at 00:18.